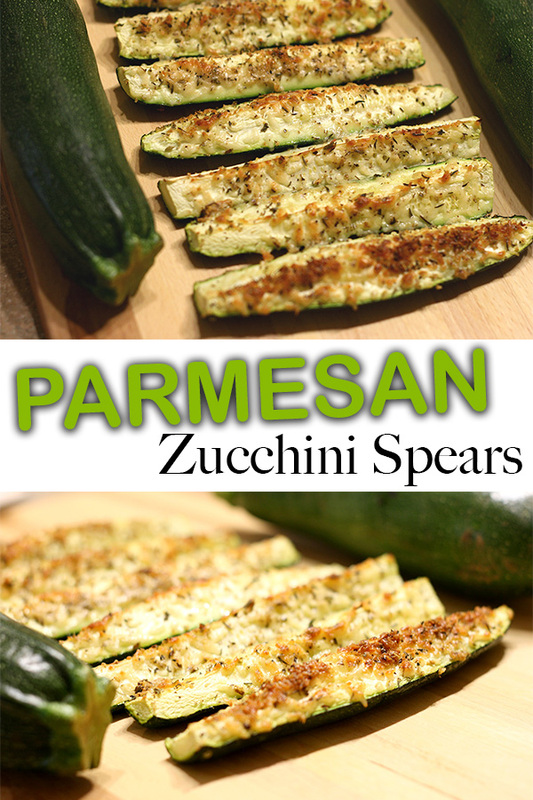 This parmesan zucchini spears recipe is a tasty side dish that’s fancy enough to entertain with and simple enough to make any night of the week. I hope you give this a try. Line a baking sheet with foil and put a cooling rack on it. Spray with nonstick cooking spray. 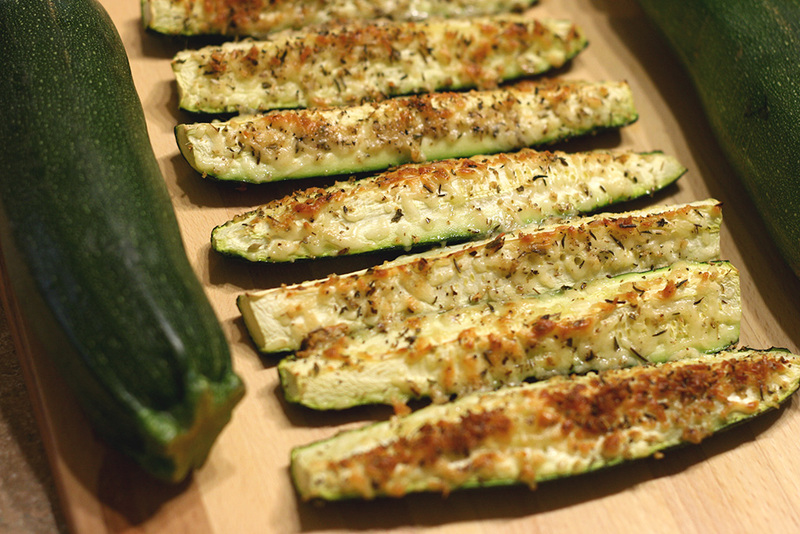 Arrange the zucchini spears on the cooling rack pan. Drizzle with olive oil to help the cheese mixture stick. In a small bowl, combine parmesan cheese, thyme, oregano, and garlic powder. Season with a pinch of salt and a few grinds of black pepper. 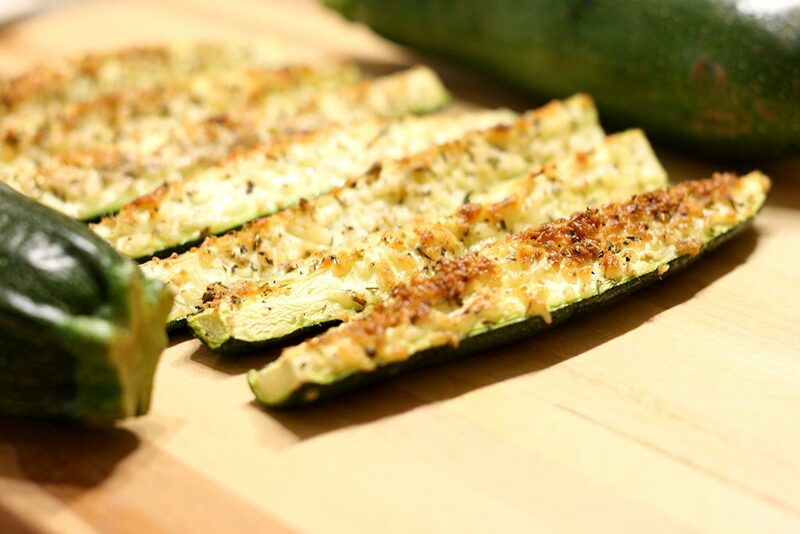 Evenly coat zucchini with cheese mixture. Bake until tender, about 15 minutes. Brown them under the broiler for 2-3 minutes.